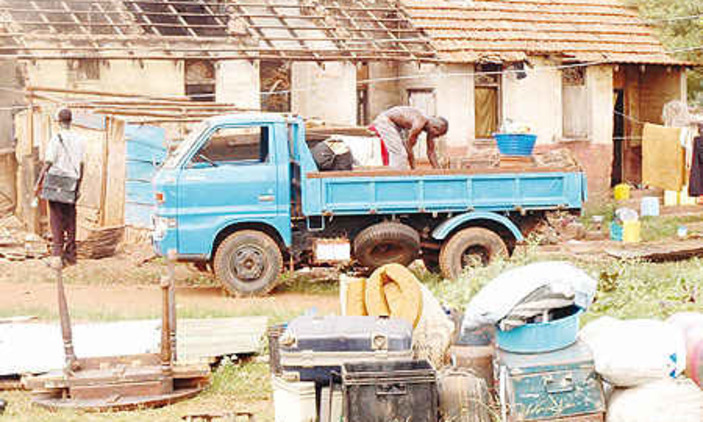 KAMPALA – Former tenants and owners of Naguru-Nakawa Estate have given the government two weeks to compensate them or they forcibly return to the land. The owners were in 2012 evicted to pave way for the construction of a satellite town with government promising to construct them new units. However, Mr Simon Barigo, the estate chairperson, said since then, no development has taken place and yet the former tenants are unable to utilize the land. “We are giving them two weeks from today; we expect government to quickly convene a cabinet meeting and pass the rightful figures of compensation because we have discussed with them a number of times and they also convinced us to take the compensation,” Mr Barigo said at a press conference on Monday. He added that they will move to resettle on the land should government not respond in two weeks and they will also expect it to feed them since it is the one that evicted them. Nakawa Divison MP Michael Kabaziguruka, who was at the press conference said the tenants’ patience has run out. “I call upon the government to investigate and find out those who are behind the land grabbing, the suffering the former tenants are going through and hold them accountable. The government should also cancel all the titles of the land that has been issued out and that land all rescued into the custody of the government of Uganda through the land commission,” he said. Mr Kabaziguruka also promised to move a motion in Parliament over the matter. Last year, the former tenants demanded that a portion of the land be given to them to redevelop it since government had failed to do so or compensate them. On October 14, 2013 President Museveni laid the foundation stone for the construction of the Naguru-Nakawa Satellite City project. The project was expected to see the 160-acre land, formerly home to the Naguru-Nakawa low-cost housing units redeveloped to have among others, 1,747 flats, bungalows, commercial buildings, a five star hotel, a referral hospital, schools, houses of worship and recreational facilities. OpecPrime Properties Uganda, an arm of the UK-based OpecPrime Properties, was meant to undertake the project with funding from the Irish London-based Comer Group International, which would own the development for 30 years. The commissioning of the project took place close to six years after government, through the Ministry of Local Government, signed a public-private partnership (PPP) agreement with OpecPrime. However, delays on the part of government to hand over vacant possession of the land meant that the initial terms of the PPP could not be met. The two parties were forced to sign an addendum, which saw delivery date for the housing units pushed to December 2016. Once the former tenants were evicted, some forcibly, and the commissioning was done, it had been expected that the project, which was partially planned to decongest the city, would take off in line with the provisions of the addendum. This was never the case as more than 1,750 people have now taken refuge in the city slums around Luzira, Mbuya, Banda, Acholi Quarters and Kinawataka; with some of them encroaching on wetlands.